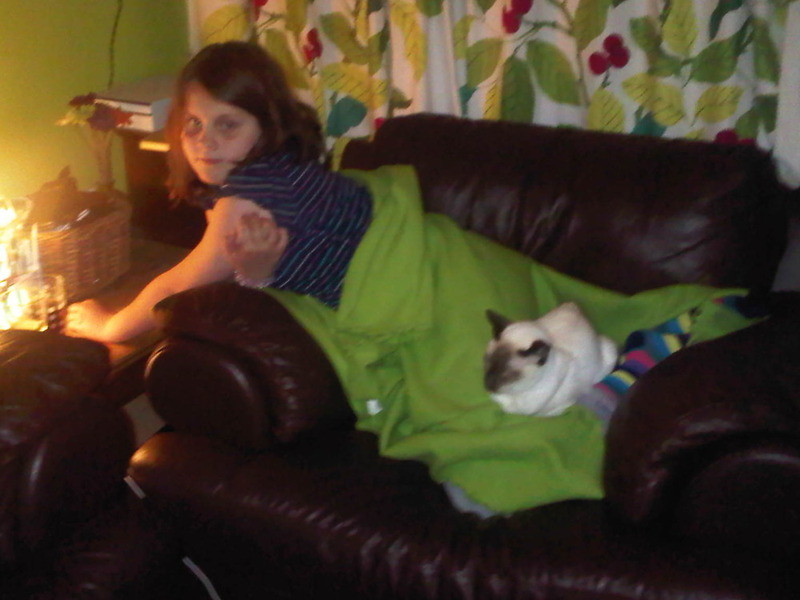 Malteser settled comfortably on the back of Isobel’s knees. Who is dafter? He for sitting in a silly place or she for holding still?